LONG BEACH, N.Y. (May 15, 2015) – Four legged and furry friends get ready! Amazing Pet Expos returns to the Nassau Coliseum in New York on May 30, for one day only. Fresh off their 105th expo, the Greater New York Pet Expo features stars of Animal Planet’s number one show “Tanked,” Wayde King, Brett Raymer, and Irwin Raymer, as well as national pit bull advocate Deirdre “Little Darling” Franklin, founder and President of Pinups for Pitbulls, Inc. 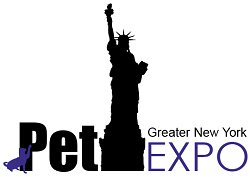 The Greater New York Pet Expo opens on Saturday, May 30th from 10am to 6pm. The expo features opportunities for attendees to explore nearly 100 exhibitors, Lure Coursing by Swift Paws, education about exotic animals, a Petfinder.com mega-adoption area with more than 200 rescue pets available for adoption. Low-cost immunizations, discounted micro-chipping and free nail trims are also available for all the furry friends who need them. Attendees can learn about pet care, volunteerism, grooming, pet behavior & training, traveling with your pet, how you can make a difference, different types of pets/breeds, veterinarian FAQ, fun activities for you and your pet and much more. This indoor and air-conditioned event attracts more than 12,000 attendees along with their furry, feathered and reptilian pals who are looking to enjoy a new and one-of-a-kind experience where all pets can enjoy a fun day out with their pet parent(s). All well-behaved pets are welcome, as long as they’re on a fixed lead (or in a carrier) and have proof of age-appropriate rabies vaccines. The 2015 Greater New York Pet Expo is powered by Soffront and produced by Amazing Expos, a leading event production firm that currently produces more than 30 large pet expos across the United States. For more information and to purchase tickets visit http://www.newyorkpetexpo.com. To connect with the pet expo, call 800-977-3609, email expo@newyorkpetexpo.com, or find us on social media at http://www.facebook.com/newyorkpetexpo or https://www.twitter.com/AmazingPetExpo.